A convent...how archaic. Did her father really think sending her to live among those sexless women would curb her desires? No matter how many hours the nuns forced her to spend on her knees, praying for the exorcism of her sin would she forget Anton and all of the beautiful ways he plied her body with pleasure. 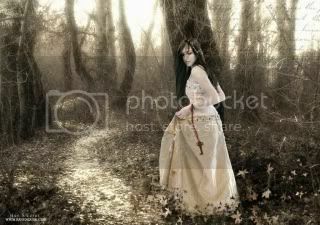 She, the future Queen, would rather take her chances in the whispering woods than turn away from the physical bliss found in the arms of her lover. The very least you can do in your life is figure out what you hope for. And the most you can do is live inside that hope. Not admire it from a distance but live right in it, under its roof. :D She thanks you very much, Savanna!